.NET Framework is a one of the best software development platforms that enables countless developers from all around the world to take not only full advantage from professionally made libraries, interoperability across several programing languages, and app execution inside software virtual machine, but also perfect companion for the integrated development environment platform of Microsoft Visual Studio and the decades of experience, documentation, streamlined services, libraries and more that were made during creation of countless Windows applications with Microsoft’s tools. Using .NET, developers can take advantages of interoperability, Common Language Runtime engine, language independence, base class library, simplified deployment, security and portability. 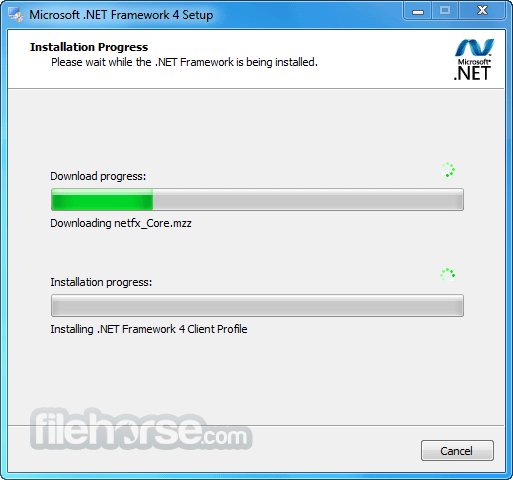 .NET Framework Version 3.5 SP1 was introduced to the public in November of 2007, almost exactly one year after Microsoft released version 3.0 that first introduced Windows Presentation Foundation (Direct3D powered new users interface system and API), Windows Communication Foundation (integrated messaging system for application services), Windows Workflow Foundation (task automation and integrated transaction management), and Windows CardSpace (software component for safely storing and managing person’s digital identities and transaction data). Version 3.5 improved upon all those services, adding additional support for operating systems, new services, and better compatibility with Windows Mobile and Windows Embedded CE devices. Service pack 1 arrived on August 2008, bringing performance improvements, new data services, assemblies for web development, and full compatibility with Windows 7.